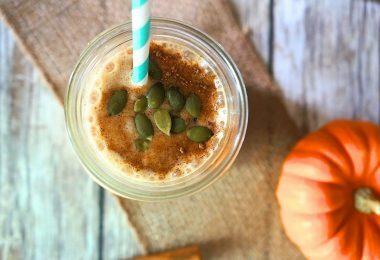 This post is sponsored by Starbucks to share this easy way to make this chai tea latte recipe at home. 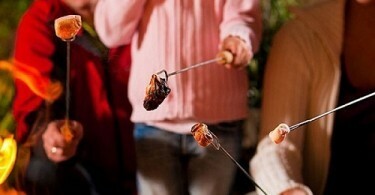 I received compensation and a Sweet Meets Spicy collection to try it myself! Who loves the flavors and spices in a Chai tea? There’s something so comforting about a warm cup of tea, I love the feeling I get when I am wrapped up in a cozy blanket in front of the TV with my my family and a cup of hot tea! 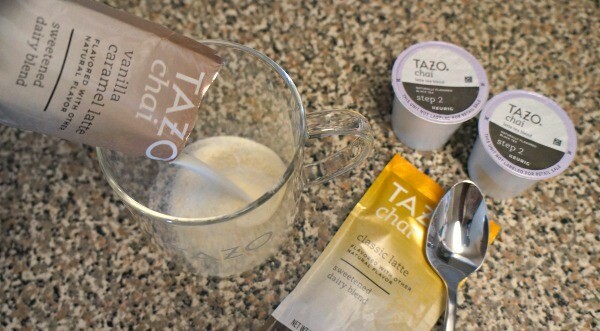 I was thrilled to learn that you can make your own Chai tea latte recipe at home with TAZO® Chai Latte K-Cup® pods – can you guess what i’ll be drinking this evening?! With 5,000 years of Indian history behind it, chai tea uses a unique blend of spices – cinnamon, nutmeg, cardamom, vanilla and more flavors – that’s pretty hard to replicate at home. 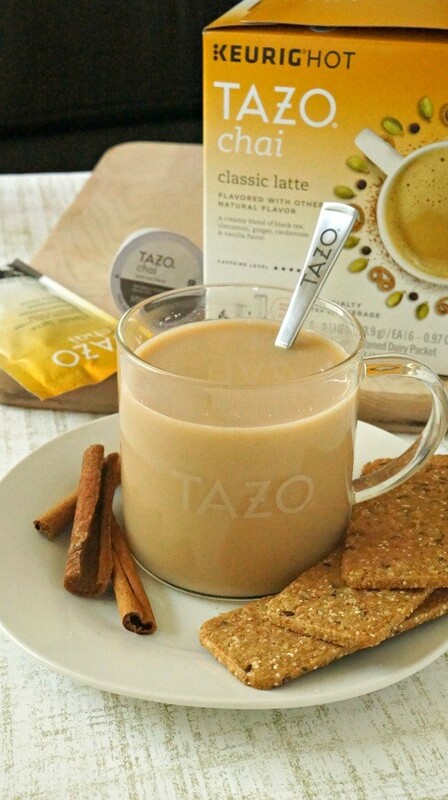 TAZO® Chai Latte K-cup® pods are made with black tea leaves, milk and spices, making it easy to enjoy a creamy, flavorful chai tea latte right in the comfort of our own homes using a Keurig® brewer! 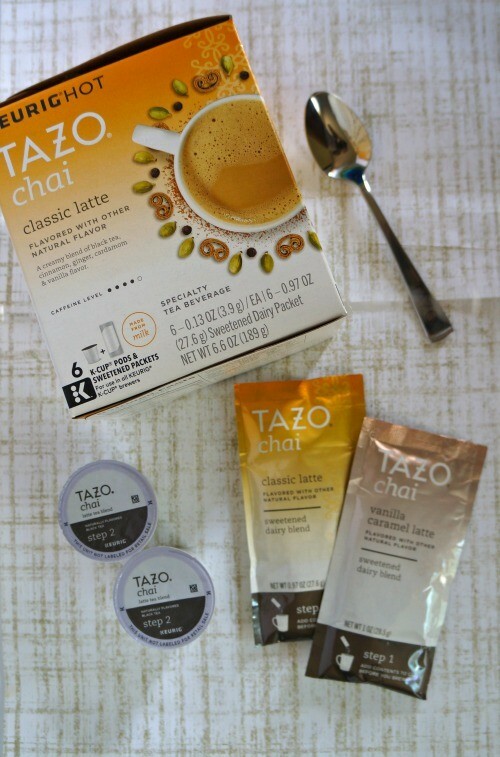 I received a Sweet Meets Spicy package from TAZO®, which included a set of TAZO® Chai Latte K-Cup® pods, a mug and a stirring teaspoon. Making this chai tea latte recipe at home is a simple two step process: Pour the sweet dairy blend packet into your mug, brew one of the K-Cup® pods in your Keurig® on top of the powder and stir. In just about a minute, you’ve got a warm, aromatic cup of tea that will relax you and take your senses on a journey around the world! 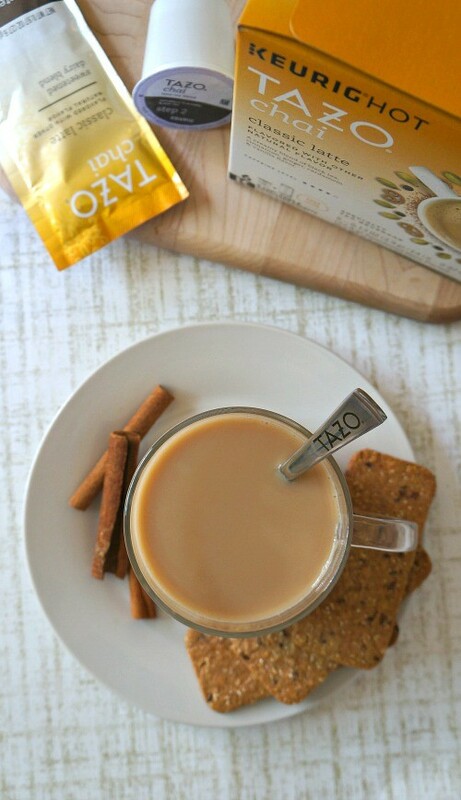 TAZO® has partnered with Padma Lakshmi, best selling author and host, who has developed a few recipes that pair perfectly with a cup of chai tea! 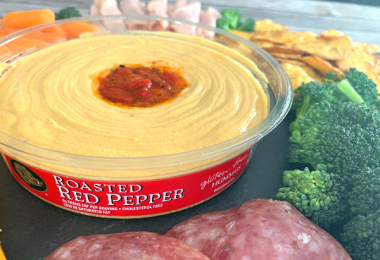 Flavors such as figs, Manchego cheese, spicy jam, cinnamon cookies, pomegranate and other spices set off the flavor palette just right! 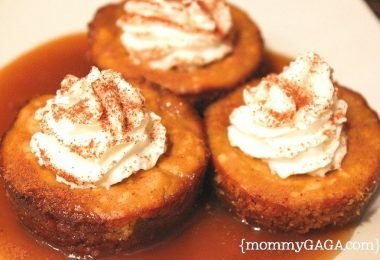 Try TAZO® Chai Latte K-Cup® pods, such an exotic and bold treat to make at home. There’s nothing like a warm, robust cup of chai tea, find out where to buy the K-Cup® pods near you. Bringing Up Bates Is The Family Show You Can’t Miss!